Discover the top three reasons why a kitchen peninsula might be the right choice for your kitchen layout. To improve flow and add structure to a home’s open floor plan, consider the kitchen peninsula. This connected half-wall adds counter space, storage, and seating while also dividing the space nicely: one side for food prep, the other for entertaining. The kitchen peninsula might even offer the better setup than an island for a few reasons. First, by design, the kitchen peninsula connects to your walls, which makes it easy to run water, gas, and/or electricity through it to install a sink or stovetop in the middle of the kitchen. 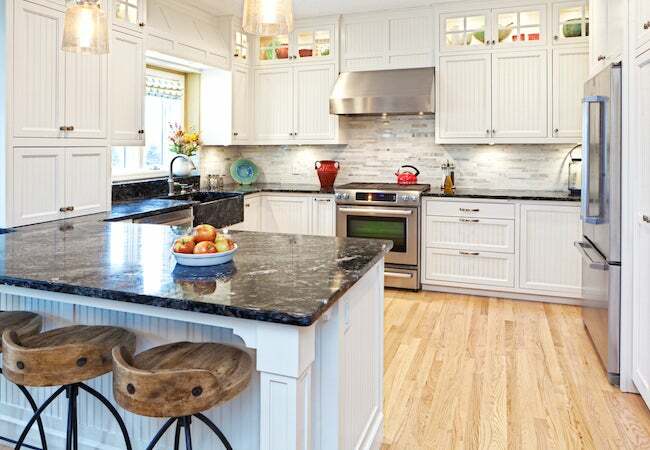 Second, unlike how you need to factor in ample space for walkways on all sides of a kitchen island, the flow of foot traffic around a peninsula is simpler. Tuck this workstation into a corner of the room, and it won’t take up as much real estate. Third, your peninsula can separate the kitchen from a living and/or dining areas as a buffet. Guests can move easily around the room, and the host doesn’t have to feel isolated from the action while in the kitchen refilling the snacks.